When Donald Trump’s supporters are asked what they like about him, one phrase that always comes up is “strong leader”, and a contrast is drawn between Trump and President Obama, who is a “weak leader”. People who think that way must have a very different view of leadership than I do. But this is the kind of thing we don’t talk about much. In our public discussion, leadership is like art: We all think we know it when we see it, so we don’t need to define it. But I’m thinking we do need to define it, so I’m going to take a few paragraphs to say what I think leadership is, and how our current would-be leaders are succeeding or failing at it. Here’s what leadership means to me: the ability to see a practical path to a better world, and to convince enough people to join you on the journey that you can actually get there together. 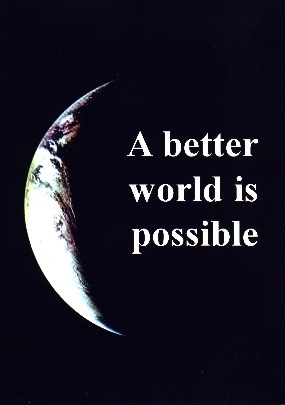 Idealists envision a better world, but have no practical plan for getting there. Visionaries get so far ahead of the People that few can follow them. Academics lack the ability to communicate their vision or persuade the People to believe in it. Panderers do not present a vision at all, but simply tell the People what they want to hear. Demagogues take advantage of the People’s ignorance, greed, and fear to gain power for themselves. If they lead anywhere, it is to a harsher, more hate-filled, and more violent world. This doesn’t correspond directly to a Left/Right spectrum, but there is a broad correlation: Liberals have a weakness for Idealists (of course a book about a “better world” with a view from space on its cover is liberal) and Visionaries, while Conservatives love their Demagogues. All political movements have their Academics and Panderers. A good way to sum up the Clinton/Sanders argument among Democrats is that Clintonistas see Sanders as a Visionary, while Sanders supporters see Clinton as a Panderer. Sanders’ program sounds great to most Democrats, but the question is whether the larger public is ready for it. And Clinton is saying a lot of progressive things right now, but will she still be saying them in the general election when she has a different audience? One test of leadership that all the Republican presidential candidates are failing is to tell the American people the truth about climate change: It’s happening, it’s caused by burning fossil fuels, and there will be serious economic, humanitarian, and even military consequences if we don’t take dramatic action. No one on the Right wants to hear that (and people on the Left aren’t wild about it either), so the conservative candidates (most of whom are smart people who probably know better) avoid the problem when they can and openly deny it when it comes up. That’s pandering. Democrats pander in a more subtle way. Candidates (especially Clinton) are reluctant to face the gap between the size of the country’s problems and the size of their proposed solutions. Raising the minimum wage or re-jiggering student loan programs isn’t going to reverse the country’s polarization into rich and poor. Effective gun control will require more than just background checks and assault-weapon bans. And so on. The difference between a Leader and a Demagogue can be hard to see when you get caught up in the passions of the moment, but if you introspect a little you can feel it in your heart. 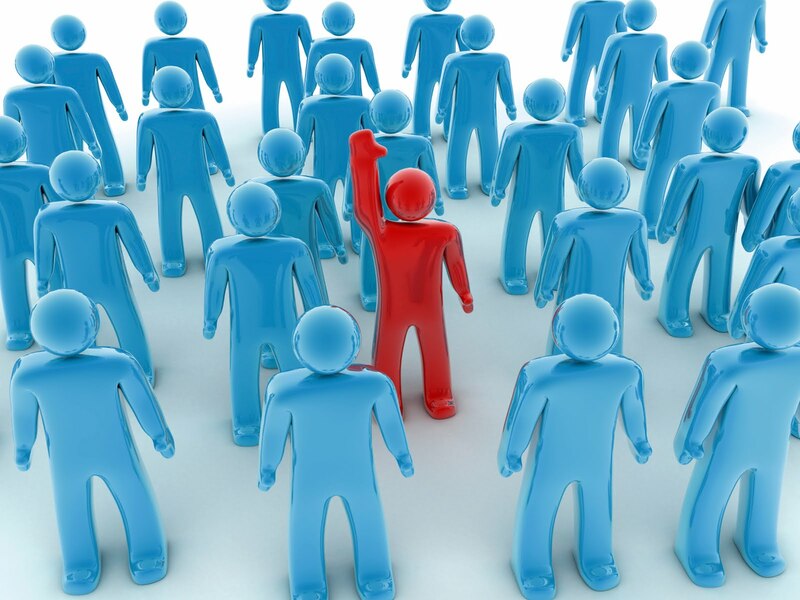 A Leader calls out the best in his or her followers. Under the influence of a Leader, you feel more courageous, more hopeful, more generous, and generally more heroic. What marks that address as leadership is what so many of the people he inspired went on to do: join the Peace Corps, or go to Mississippi for the Freedom Summer. They took risks and inconvenienced themselves for the benefit of others. Listening to Kennedy made them better people. But those who listen to Donald Trump (and to a lesser extent several other Republican candidates) become angrier, more fearful, and more self-centered. They want to make their enemies suffer. They want to send other people to fight in the deserts of the Middle East, but they don’t volunteer to go themselves. Trump tells his followers not that they need to sacrifice, but that they’ve sacrificed too much already. It’s time for other people to sacrifice: the Hispanics, the Muslims, the Syrian refugees, the inner-city blacks. Both Leaders and Demagogues will call on you to be strong, but the Leader will have you focus your strength on the real enemy, and take the risks associated with opposing strength to strength. The Demagogue will offer you scapegoats, weaker people you can beat up on. Both a Leader and a Demagogue will leave you feeling energized, but if you introspect honestly, you can tell the difference: The Leader calls on you to find virtues you didn’t know you had, to be better than you have ever been. The Demagogue gives you permission to be worse. I should review all the stuff I learned and taught about leadership when I did professional development for the Presbyterian Church USA in the mid 90’s. Getting in front of the parade is not leadership. Giving commands and making unilateral decisions to please some people is not leadership. Charismatic persons are not leaders; they are just charismatic. Many of the best leaders are not much visible because they are the ones who provide an environment in which others can thrive and produce. Nice piece, interesting way to frame things. Questions, though. If visionaries, academics and idealists aren’t necessarily leaders, and panderers and demagogues can’t be, or lack the necessary qualities to be, leaders–then how does one describe a leader? S/he may have some or all of these qualities, and still lead? Or none of them? I guess it’s the absence of positive attributes I’m questioning. You discuss what a leader shouldn’t be–or be too much of. But we do want a leader with vision and ideals, as well as some deeper knowledge (academic?) of the issues s/he must face–right? Also, as an academic, I should also argue that some academics can be, and have become, leaders by developing the ability to communicate. Dr. Woodrow Wilson, whatever you may think of him, does come to mind. All the categories have some of the attributes of leadership, which I had defined as: “the ability to see a practical path to a better world, and to convince enough people to join you on the journey that you can actually get there together.” So you need vision, practicality, communication skills, and a desire to make the world better for everyone, not just yourself. And former leaders of the Canadian Liberals Stephane Dion and Micheal Ignatief show how brilliant academics make poor political leaders. If the distinction is only that leaders seek better things and demagogues seek worse things, then it’s not a useful distinction. Short term interests and values tend to conflict, while long term, sustainable interests and values tend to conflict. Perhaps the most serious Enlightenment “heresy” is the belief that, given enough education, people will always logically choose to serve their own best (i.e. long term, sustainable) interests. Unfortunately, when the human brain is flooded with fear chemicals, logic is rarely possible. CORRECTION: Short term interests and values tend to conflict, while long term, sustainable interests and values tend to CONVERGE. January 2017. Just listened to Obama’s farewell speech. This post is still relevant.